Timbecon's Melbourne store is offering three 1.5 hour scheduled workshops that focus on dust extraction. Check out Oneida cyclones and iVAC automatic systems and get some tips on getting the right system for your needs. Special pricing on Oneida and iVAC products will be on offer. 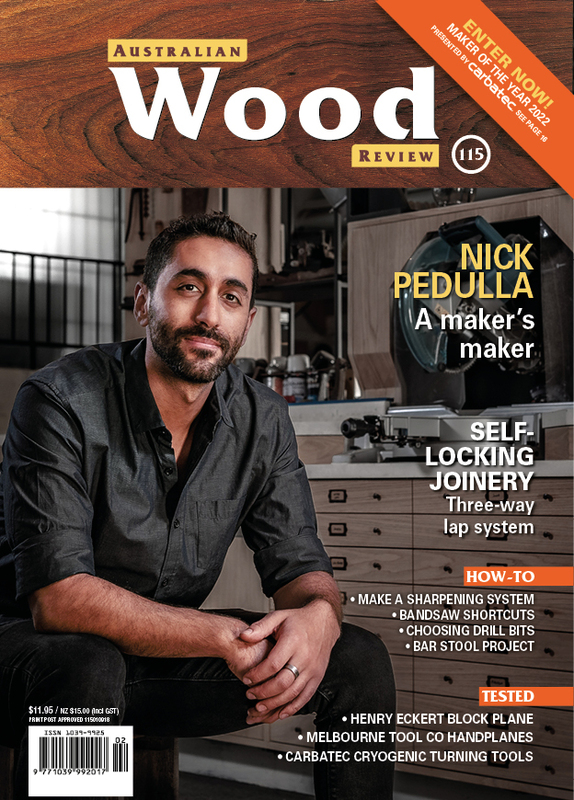 Hosted by the 'Disco Woodworker' Chris Zurek and Timbecon team member Gio Villella, these workshops are an opportunity for enthusiasts and professionals to learn how to get more from their dust collection systems. Refreshments served on the conclusion of the event. Bookings are essential. Woodworkers are always creating ways to improve their workshops and dust collection is no exception. Timbecon wants to see your home-built dust collection systems. “Share Your Setup” and enter the draw to win a Sherwood Air Filter Room Cleaner 1000CFM (RRP $399) or a Timbecon store credit of equivalent value.